Download the MyGWC Reference Guide in PDF format. Turn around time for support issues is 24-48 hours excluding weekends and holidays. you can click here to access your Blackboard classes. Your myGWC Username should be a combination of your first initial and last name, possibly followed by some numbers. For example Robert Lopez may be "rlopez23." If you can not remember your username, you can use your student ID instead! For example "C00234765." Please try the "Forgot Password?" Tool on the login page and answer your security questions and retrieve your password. If you have tried the above troubleshooting steps and you still need help, submit a request and we will get back to you as soon as possible. Remember, it could take as long as 24 hours to assist you. Note for Staff and Faculty: If you access INB Banner from MyGWC, the system will change your INB password to your MyGWC password. You will be unable to login until you have completed the admissions process and received your username and password. Your login information will be sent to the email address you provided in your admissions application. If you are trying to log in to the system using another browser, you may experience difficulties. You can download the Mozilla Firefox browser for free, if you need an upgraded browser to access MyGWC. 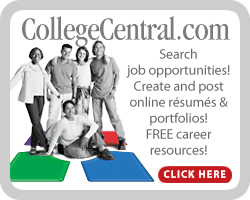 MyGWC is your online portal to your personal Golden West College resources. MyGWC is a district-wide enterprise. So, if you are a student, instructor or employee at Orange Coast College or Coastline Community College (in addition to your role at GWC) you will be able to access those resources in myGWC as well. MyGWC is customizable and unique to each user. Factors that make myGWC unique to you are which Coast community colleges you are engaged with as well as what your role is at each campus. For instance, a student who attends courses just at GWC will not see any information pertaining to faculty, staff, or the other campuses in the district, but will be able to access his GWC information, including grades, financial aid, etc. However, a faculty member who teaches both at OCC and GWC will be able to view his or her faculty resources for both campuses. Web Support will post answers to your Frequently Asked Questions about MyGWC here. Click on the question below to view the answer. Can I access MyGWC from off campus? Why do I see the Coast logo when I log on to MyGWC? How can I check to see when my registration appointment time is? How can I check to see if I have a hold on my records/registration? How do I register for courses? How do I print a program receipt/class printout? How do I print a copy of my unofficial transcripts? How do I check the balance on my account and/or pay fees? How can I check my term grades? How can I order an official transcript to be sent to myself or another college? Can I access Blackboard Vista through MyGWC? Do I need to Log Off? E-Mail Your login information will be sent to the email address you provided for Admissions and Records at the time of registration. "Standard" Mail Your login information will also be mailed to you at the address you provided for Admissions and Records at the time of registration. You have 5 times to try to login. If not successful, please wait for one hour. You have another 5 times to try logging in again. If still not successful you need to contact our HelpDesk at (714)895-8294 or toll free at (866)679-4492. Yes, you can access MyGWC from any computer with a web browser and internet connection. If you are a student of multiple campuses in the Coast Community College District (the district is comprised of Orange Coast College, Golden West College, and Coastline Community College) you may see the Coast logo along with the logos for each campus when you login to MyGWC. This is just because you are affiliated with multiple campuses. If you were affiliated with GWC only, you would have just an GWC logo; this is true for the other campuses as well. Those students, faculty, and staff that either work or attend one of the other Coast campuses (or have in the past) will receive the Coast District-Wide logo when they login to MyGWC. Select a term (ex: GWC Fall 2009) then "Submit." Click on “Holds Information” in the “Other Resources” box. Enter Course Reference Numbers (CRNs) from the printed class schedule then Submit Changes or click on "Class Search" to search the class schedule. Enter your search criteria then select "Class Search". Click in the checkbox next to the course you want to register in then click "Register" to submit the course for registration. You may also click on "Add to Worksheet" to add it to the worksheet and continue searching for classes. Verify your registration then click on "Finish and Pay" to pay your fees. Verify your fees then click on "Pay Now" to pay by credit card. If paying by check or money order, send payment to the registration office in this amount. Make sure to write your student ID number on the check/money order. Fees are due at the time of registration. Enter the credit card type, card number, expiration date, and billing address then click on "Submit Payment." Verify the information entered then click on "Okay to Submit Payment." You can print the form from your web browser as proof of payment. How do I print a program receipt/class printout? Click on “Detail Schedule” in the “Other Resources” box. You can print your class schedule from the web browser if you need a printed copy. Click on “Unofficial Transcript” in the “Other Resources” box. Enter the level, the transcript type, and "Submit." If you need a printed copy, you can print it from your web browser. Click on "Credit Card Payment" to pay fees. Select a term and (ex: GWC Fall 2009 ) and "Submit." Enter the credit card type, card number, expiration date, and billing address then and "Submit Payment." Once grades have been rolled to academic history (a couple weeks after the end of the term), your grades will appear here. On the Home tab select the “Order an Official GWC Transcript”. This takes you to the online transcript order form. Yes, you will be able to log in to your Blackboard Vista Courses from within MyGWC. Yes, you should always logout for security reasons so others don’t have access to your personal information. The system will automatically time you out after 20 minutes of inactivity.